The satisfaction and benefit experienced when you’re productive gives you confidence and induces a desire to achieve more. Productivity measures output per unit of input, considering factors such as capital, labor, land or any other resource in the production process. It calculates Gross Domestic Product (GDP) as a ratio to hours worked. In this article, we’ll look into the 10 most productive countries and lessons we can learn from them. 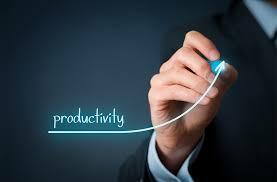 This entry was posted in Tools and Information and tagged Most Productive Countries, Productivity. Bookmark the permalink.